With immense pleasure I welcome you all at the 37th Annual General Meeting of your Company. Your presence here is a testimony of your interest & involvement with the Company & I sincerely thank each one of you for that. While I share the highlights of our Company's performance for the financial year ended March 31 2018, I shall run you through the Industry Environment in which your Company operates. Logistics and warehousing plays an indispensable role in the transportation of goods across the country. A warehouse is a fundamental part of business infrastructure and is one of the key enablers in the domestic and global supply chain. The speed of import or export or doing business within country, will depend on logistics and cost-effective solutions. Technological breakthroughs are changing every aspect of how logistics companies operate. Indian logistics infrastructure was unorganized and fragmented for a long time. The sector plays a pivotal role in any nation’s development by ensuring seamless movement of goods across the country and internationally in a cost-efficient manner, thereby enhancing a nation’s global competitiveness. The sector is currently in a transformation phase with game-changing trends like implementation of GST, increasing focus by foreign investors across the logistics value chain, growing demand for end-to-end solution providers and emergence of new avenues such as e-commerce, logistics parks, cold chains, etc. The Government’s thrust towards building multi-modal transportation infrastructure is also likely to have a significant influence on the logistics industry over the longer-term. The Indian Logistics sector in undergoing a quiet revolution. Changing regulatory set-up, government incentives, infrastructure development projects, increasing transparency, easing tax structures to encourage participation of foreign and private players in the sector. The Indian logistics industry looks well-poised for a bright future with the entry of many foreign companies and their focus on outsourcing their logistical requirements besides the boom in the e-commerce sector. As infrastructure is the backbone for any country's prosperity, it has to be emphasized for logistics sector in India by improving the infrastructure quality and resources. The industry has moved from being just a service provider to provider of end-to-end supply chain solutions to their customers. The Company is well poised in these growth sectors of Warehousing, 3PL, Rail, ICD and end-to-end logistic solution provider. The bygone financial year was a milestone in the history of Arshiya. 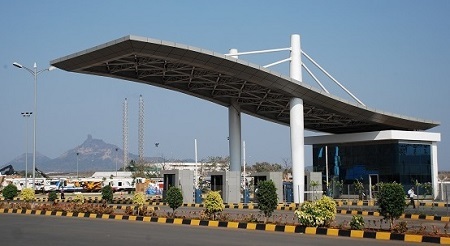 The results of tireless efforts and team work can be seen in materialization and successful completion of transaction with Ascendas Property Fund (India) Pte Ltd (“APFI”) whereby your Company has monetised six warehouses in Free Trade & Warehousing Zone admeasuring 8,32,000 sq.ft located at Panvel near Mumbai by leasing them on long term basis to APFI for ₹ 534 crore. Out of this the first tranche of ₹ 434 crore has been received on February 3, 2018 and the balance ₹ 100 crore to be received over 4 years in equal instalments on achieving certain milestones. As part of the transaction itself, APFI has further leased these warehouses on a long-term lease basis, at pre-agreed rentals, to Arshiya Lifestyle Ltd (“ALL”) which is a wholly owned subsidiary of your Company. 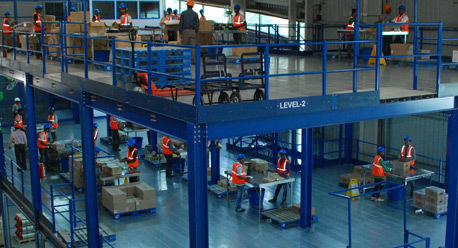 ALL as a co-developer also provides various services in managing and operating these warehouses. This transaction establishes the growing acceptance of the FTWZ in the country and the intended objective of your Company to achieve an asset light model, going forward. The majority of debt of your Company has been restructured by Banks through assignment to Edelweiss Asset Reconstruction Company Limited. The debt of your Company and its subsidiaries has reduced by over 40% from its peak level. During the year under review your company has reported a profit of ₹ 5,196.39 Lakh on standalone level and that of ₹ 5,037.77 Lakh on consolidated level. Your Company has constantly strived for improvement and creating a better future. We have constantly tried building a better tomorrow knowing what it takes to make one. Your Company is glad to inform that the FTWZ facility at Panvel is operating closer to full capacity and has achieved highest ever capacity utilisation. The increasing acceptance of the FTWZ with various benefits it offers is increasing and your company is witnessing increasing enquiries for bigger space. Amidst stern challenges we found great opportunities. Our commitment to our core Company values and business philosophy inspire us to take on the challenges head on. 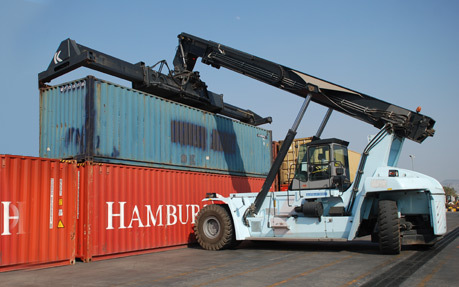 Our focus is to provide world-class integrated logistics and warehousing services in India and globally. In the following paragraphs, I will detail out to you some of our significant plans that will help us achieve this. Going forward, we will continue focusing on our existing businesses. We will also leverage our diversified network and products to further strengthen our leadership in FTWZ business. To meet the ever growing demand of FTWZ and Domestic Warehouses, the Company has laid down the plans to construct multi-level warehouses at its Panvel facility. The Ascendas transaction covers the terms for construction funding and forward sale of future development of approximately 2.8 million square feet within the Arshiya FTWZ. Your Company already possesses the requisite land and infrastructure for the future development. Khurja facility in NCR being India’s first operational integrated multi-modal logistics park also offers substantial growth opportunity, especially with the government impetus and some of the large infrastructure development in the region, such as, Eastern and Western Dedicated Freight Corridor, proposed second Airport at Jewar and the connecting highway infrastructure, besides being closer to the major consumption centers. The existing facility at Khurja includes substantial operating warehouse capacity for FTWZ and Domestic warehousing segment which provides opportunity to monetize so as to reduce debt. The facility also has substantial land bank with developed infrastructure which provides opportunity to scale-up further. The growing demand for Internet services, the social-media explosion and constant collection of “big data” has put increased pressure on data center growth. Data centers guarantee uninterrupted service and control costs when upgrading capabilities for higher bandwidth and increased storage capacity. The Company has outlaid plan to set-up additional segment i.e. electronic hardware and software (including information technology enabled services) in the notified area for FTWZ at Panvel wherein company plans to develop IT/ ITES Park on an area of about 25 acres of land. Human capital remains the core of our success and we will continue to invest considerable efforts in this direction across all levels. Employee engagement is the main pillar of our growth strategy. I believe that our existing talent pool will enable us to outperform our peers and meet our responsibilities as an organization to all our stakeholders. I thank you all for your immense support and continued confidence in our Company and Management. I also like to thank all our stakeholders - customers, employees, partners, shareholders, business associates and society at large, for their faith in us. As we plan and work towards making our business more innovative, by reinventing the way we operate, I look forward to your continued support and encouragement to take our Company to the next level of success.